Babesiosis is a new threat for UK dog owners to worry about. Hard or soft Brexit. The debate will go on. It doesn’t really matter. The issue is seasonal change. With summer 2017 approaching so to does the conditions that make it perfect for ticks to breed. Now is the time to be thinking about tick prevention and to get educated on what to look out for. 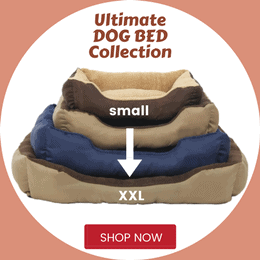 All detailed below for you and your pooch. What has Brexit to do with the continental dog disease now posing a risk to UK dogs? The link is that the blood parasite babesia is carried and transmitted by ticks that are not native to the UK. Before January 2012, as part of the pet travel scheme, all dogs entering the UK had to be treated with a product to kill ticks. However to comply with EU regulations on free movement, in January 2012 this requirement was dropped. This means dogs that travel or originate from abroad can potentially transport non-native ticks back into the UK. 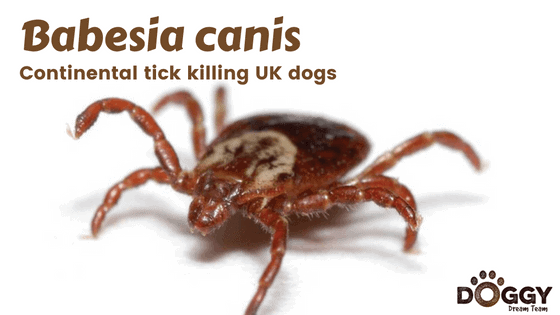 It is apparent that the non-native tick Dermacentor reticulatus has become established in the UK; along with the distinctly unpleasant parasite it carries called Babesia canis. No longer does a dog need to travel abroad to be at risk of the deadly disease babesiosis. It seems the moment to stop babesia entering the UK has passed, so let’s find out more about this emerging threat to the health of our canine companions. What is Babesia or Babesiosis? Before we go any further let’s clear up a common confusion: What is the difference between babesia and babesiosis? It’s actually very simple. Babesia is the organism responsible for infection, whilst babesiosis is the resulting disease. Think of this in the same way that paramyxovirus is the cause of measles in humans. The canine form, Babesia canis causes the disease babesiosis in dogs, but happily does not pose a risk to people. The babesia parasite infects the Dermacentor tick, which attaches to a dog and transfers infection when it bites in a similar way that mosquitoes pass on malaria. Unfortunately infected ticks produce infected eggs and one female tick can lay thousands making the threat to dogs grow exponentially. The canine form is not dangerous to people, but can be deadly to dogs. The babesia organism invades red blood cells where it reproduces. Meanwhile the dog’s immune system registers invaders; targets infected red blood cells, and destroys them. Unfortunately this means if enough red blood cells are infected, in the process of attacking the invader the dog becomes dangerously anaemic. Enlarged lymph nodes and liver. If your dog shows any of these signs seek urgent veterinary attention. The symptoms will raise your vet’s suspicion of babesiosis, but other conditions must also be ruled out before making a diagnosis. The vet may want to take x-rays or scan the dog in order to rule out tumours, run blood tests to check organ function and assess the severity of the anaemia. To make a definitive diagnosis the vet can either look under the microscope for the presence of babesia inside blood cells or run an ELISA test for the presence of babesia. You could be forgiven for feeling pretty gloomy about the threat babesia poses to our pets. However, this is not necessarily the case because you can take action to protect your dog. An acaricide is a parasite treatment that kills ticks. Fortunately, there are several highly effective products available including non-prescription Frontline (active ingredient fipronil). Never assume the parasite product you already use is effective against ticks until you’ve checked with your vet. It is the chink of the armour of many top-end, prescription flea and parasite products that they don’t kill ticks. Be careful to follow the directions on how to apply the product and repeat the application at the exact time interval advised on the packaging. Incorrect application or a gap between treatments leaves your dog vulnerable. Meanwhile the weak point in babesia’s attack is that the tick must be attached for at least 24 hours before it transfers babesia via its saliva into the dog’s bloodstream. This gives the vigilant dog owner a chance to remove ticks BEFORE they transmit disease. Every owner should get into the habit of checking every inch of their dog at least once a day (especially after a walk) and use a tick hook to remove any ticks found. This is challenging in a long-haired dog, so feel down to the skin with your fingers and wet the hair over any suspicious bumps to get a better look. Remember, check between the toes, armpits, groin, tail, muzzle, and ears….not just the body. And for that matter be sure to check yourself as well because ticks are not fussy when it comes to latching onto a host. Whether you voted for Brexit it or not, unfortunately it seems the babesia horse has already bolted and any future change to legislation regarding the importation of animals will be closing the stable door too late to protect UK dogs.